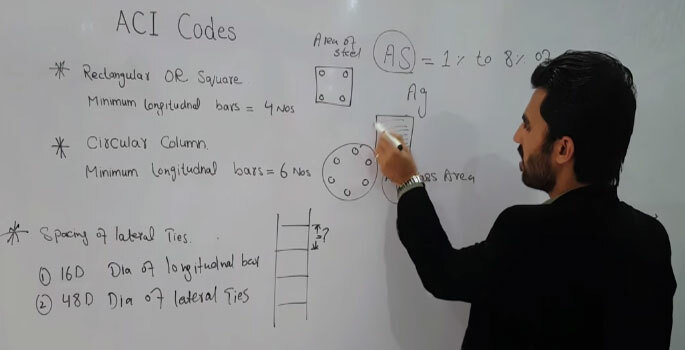 This construction video provides brief demonstration on ACI (American Concrete Institute) Code that is very important for perfect civil engineering design. ACI forms and circulates consensus-based knowledge on various fields like Concrete, Civil engineering, Structural engineering, standards organization, construction etc. What should be done with Rectangular or Square Column? What should be done with Circular Column?